I admit that I saw the Jibo a few weeks ago, and I just ignored it. 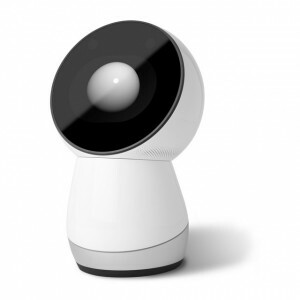 Then I saw from my Source article what Jibo actually was, and I couldn’t help but be impressed by it. Jibo is essentially a Siri or Google Voice with a head. Granted, its head is some weird triple jointed thing that is nothing but an eye. I have a difficult time describing it, so I just recommend going to the jump and watching the video. From what I can tell, Jibo is the cute robot companion that keeps showing up in science-fiction movies. Imagine something that reads your text messages while your hands are busy, or just replaying your phone messages. It will also take photos of you, as it tracks faces at parties. Just watch the video, and if you don’t see the potential of it, then you need to imagine harder. It has already met it’s Indiegogo goals with over a million in funds, and I wouldn’t be surprised if there will be a Jibo in every home in the next few years.